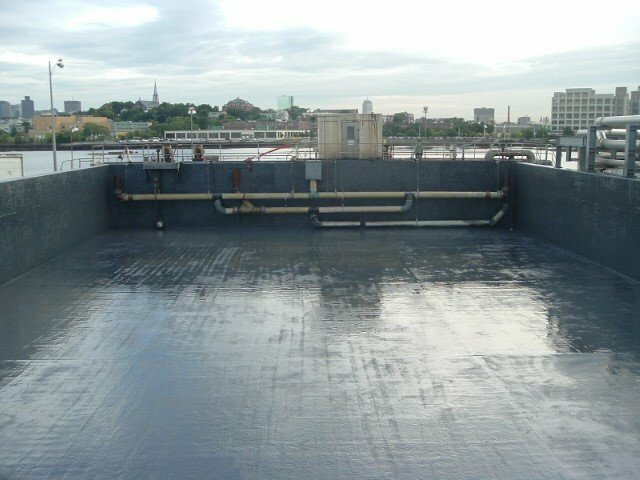 ARCOR® can provide Pinhole free Concrete Tank Coatings without using Fiberglass Composite. 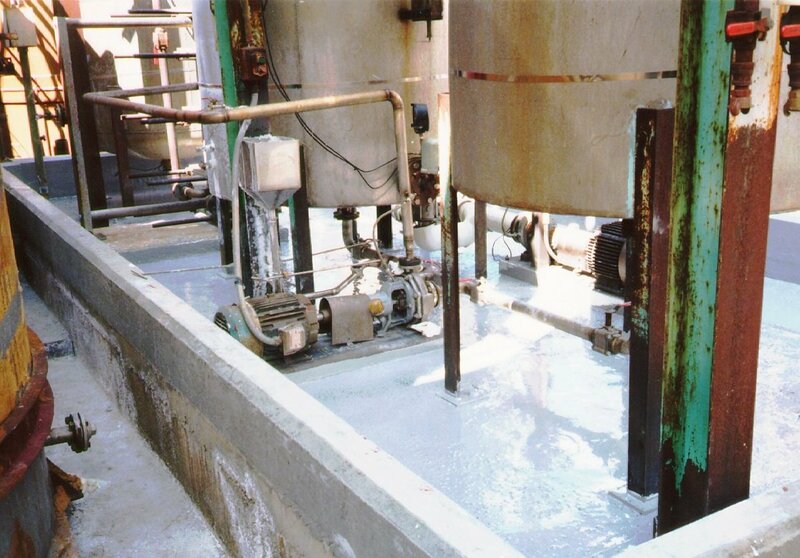 ARCOR® uses a 4 coat system with step up increases in viscosity. 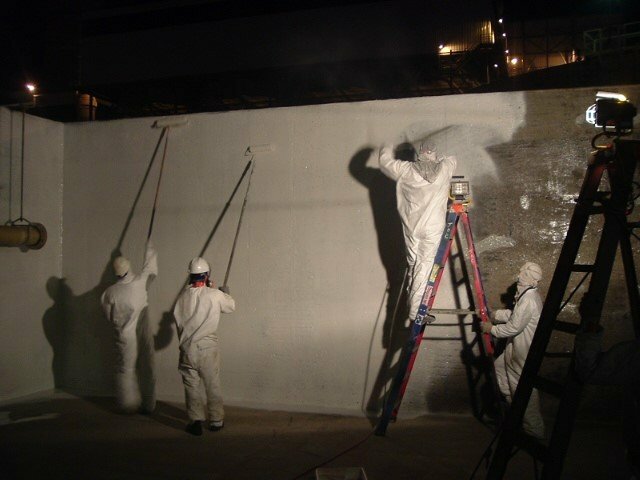 This gradually increases in viscosity with each coat allows for a progressive filling and bridging of pinholes effectively sealing the concrete for a pinhole free finish without the need for labour and product intensive fiberglass composite inlays. ARCOR® EE-80 is applied at 2 mils. 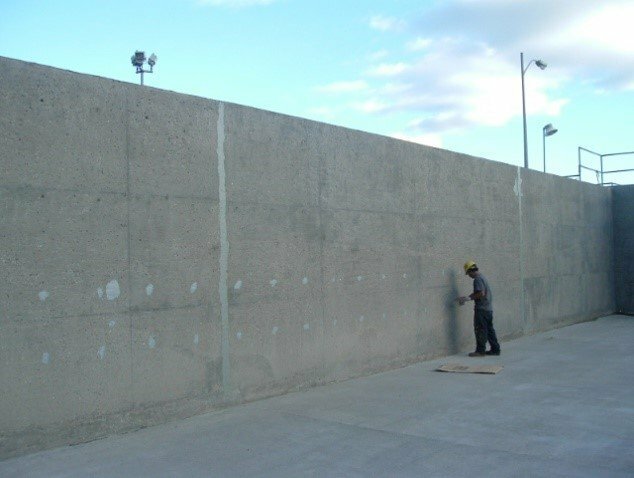 EE-80 is a very low viscosity pre-primer, which penetrates into all holes and pits, clinging to edges. This ‘seals’ the concrete. All major holes & inactive cracks are filled with ARCOR® EE-95. All all joints and active cracks are filled with ARCOR® ARCTHANE which provides for relief of stress and flexuaral movements. A second coat of ARCOR® EE-79 is then applied at 4-6 mils. Like EE-80, this an unfilled product which is thicker. This more viscous product will fill and bridge small pinholes. 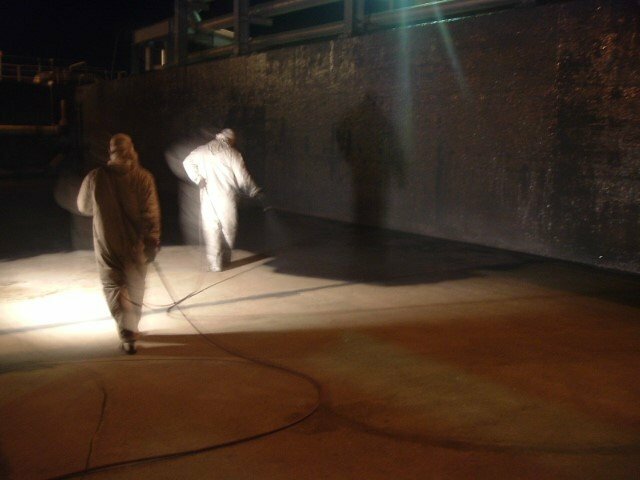 A third coat of ARCOR® S-15 is applied at 8-10 mils. S-15 is filled a filled product which will fill & bridge larger pinholes. The product also imparts color and has wear resistant ceramics. 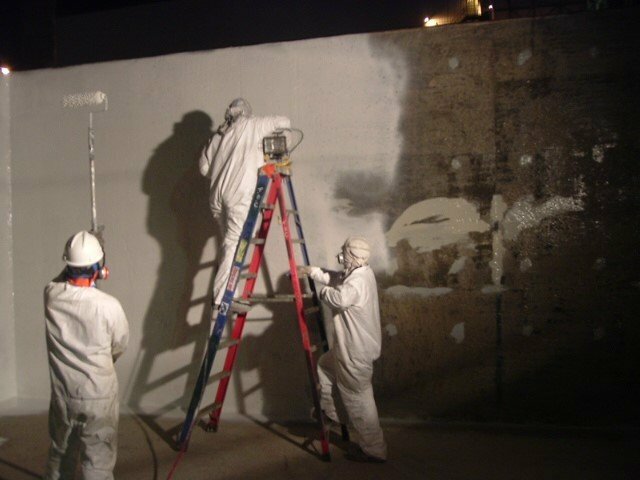 A fourth coat of ARCOR® EE-11 is applied at 12-15 mils. This fills & bridges remaining pinholes. 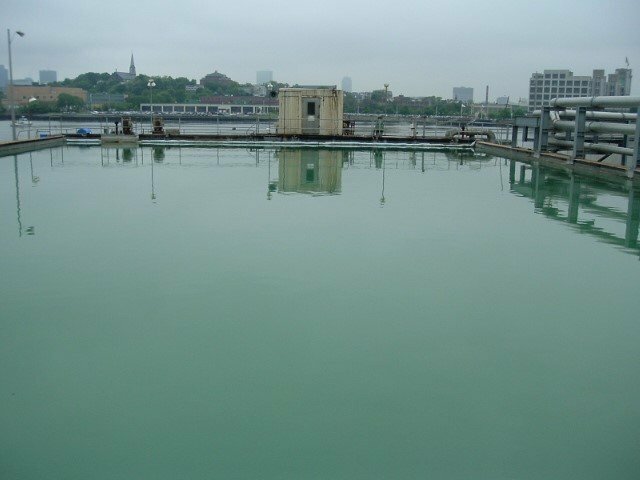 The EE-11 is ceramic filled for wear resistance and is a Novolac Epoxy suited for chemical resistance to a wide array of chemicals from acids to caustics and solvents.